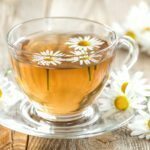 Chamomile is a fantastic herb to grow. Its foliage and flowers are bright, its fragrance is sweet, and the tea that can be brewed from the leaves is relaxing and easy to make. While it will thrive outdoors, chamomile will also grow very well indoors in a pot. Keep reading to learn more about how to grow chamomile indoors. One of the best things about growing chamomile indoors is that it can be planted in the winter. 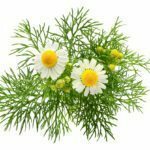 Requiring only four hours of light per day, your chamomile will be fine as long as it has a spot by a south-facing window. It will probably grow no higher than 10 inches (25 cm), but the plant will still be healthy and the flowers fragrant. Sow your chamomile seeds directly in the soil. 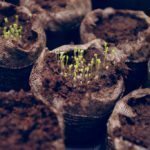 You can start them in small seed starters and transplant them, or begin them in their ultimate pot. Choose a pot that’s at least 12 inches (30 cm) in diameter and has good drainage. Wet your potting soil so that it’s moist but not sodden, and press the seeds into the surface of the soil so that they’re still visible – chamomile seeds need light to germinate. The seeds will germinate best at a temperature of 68 F. (20 C.), so if your house is cold, place them on a heating mat or near a radiator. They should sprout in about two weeks. 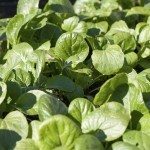 After they’ve developed their second set of true leaves, transplant them if they began in a seed starter or thin them to one every 2 inches (5 cm) if they began in a big pot. Care of chamomile indoors is easy. The pot should be kept near a south-facing window. The soil should be kept moist but not overly wet; watering once per week should be enough. After 60 to 90 days, the plant should be ready to harvest for tea.